Saturday night was the big night for the book. 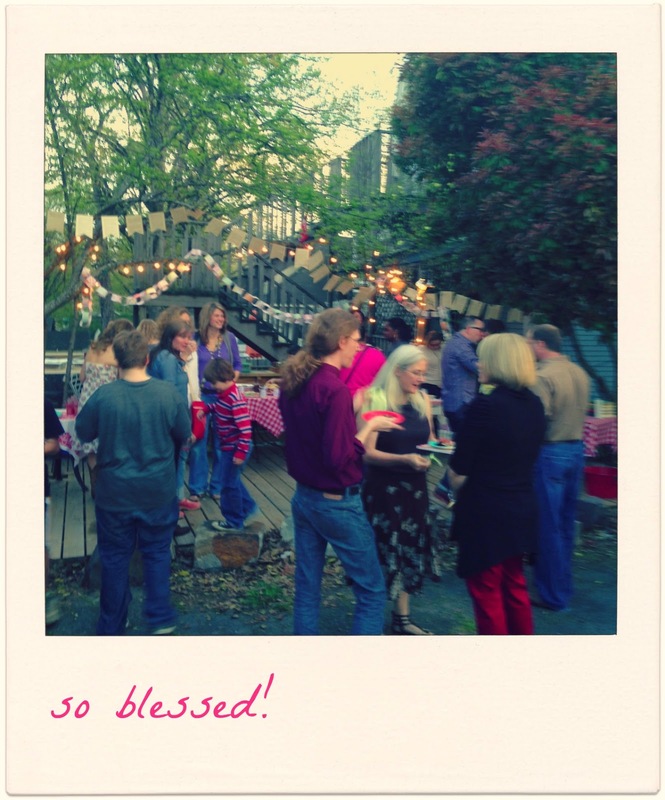 The official book launch party, the Homemade Hootenanny. I do not think words, or even pictures, can do justice to how fun this night was. How honored and humbled and excited I felt all evening. 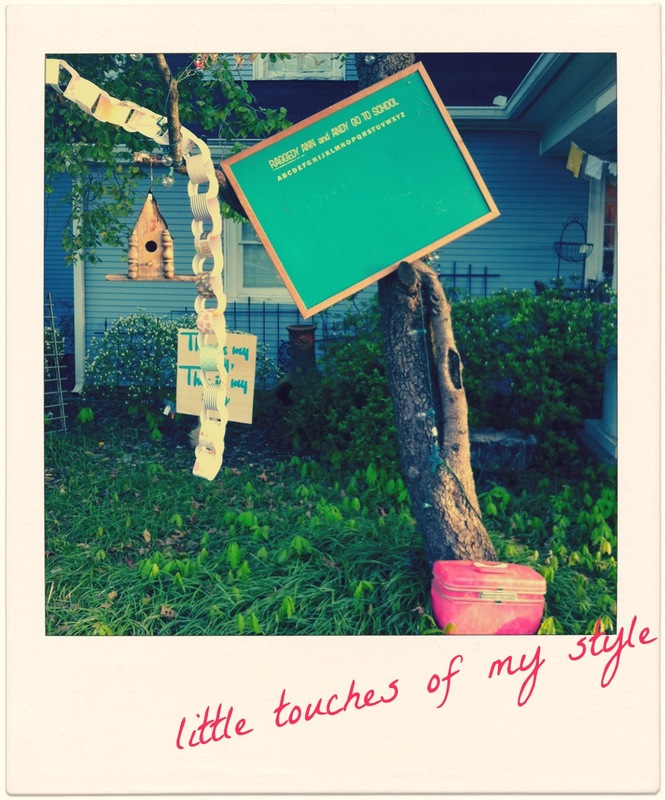 Each hug I received, each book purchase I signed, each time I heard laughter, or heard one of my favorite songs played- each of those moments felt like a thousand tiny blessings being rained down over me. The night was a crazy rush of faces and signings and stories and I never got to take a single picture – so I asked all my sweet friends who were there to share their favorites, and I have compiled them below. With so much going on leading up to the party, I knew that I needed someone else to handle the details- the styling, the setting up and tearing down. 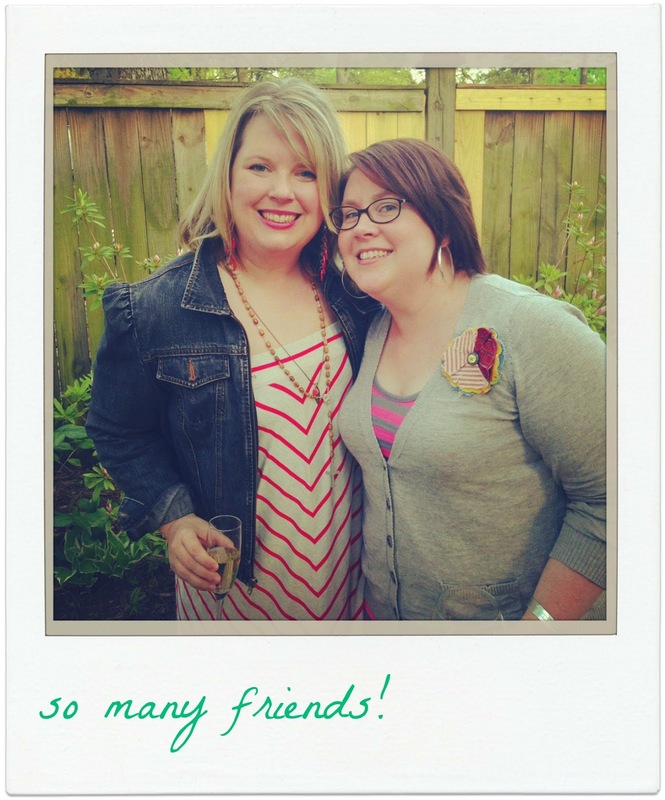 My friend Christen Bufford of Moi et Toi events was the perfect person to make this party happen. For weeks I pinned ideas to the an secret “launch party” board and then she took all my ideas and made them happen. The party venue was hosted by my friends at The Shoppes on Woodlawn. The Shoppes are in a 100 year old house in the shopping district of a historic neighborhood. The lawn is covered with sprawling trees and azalea bushes. A million years ago, Jeanetta and I had our own little shoppe there in the parlor. 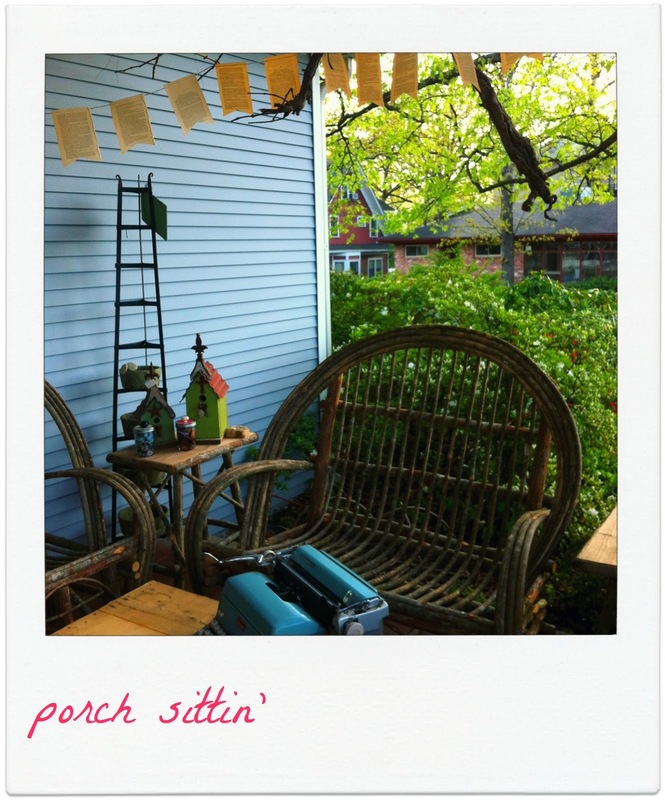 So for all those reasons and more, I knew that this would be the perfect place for a Homemade Hootenanny. 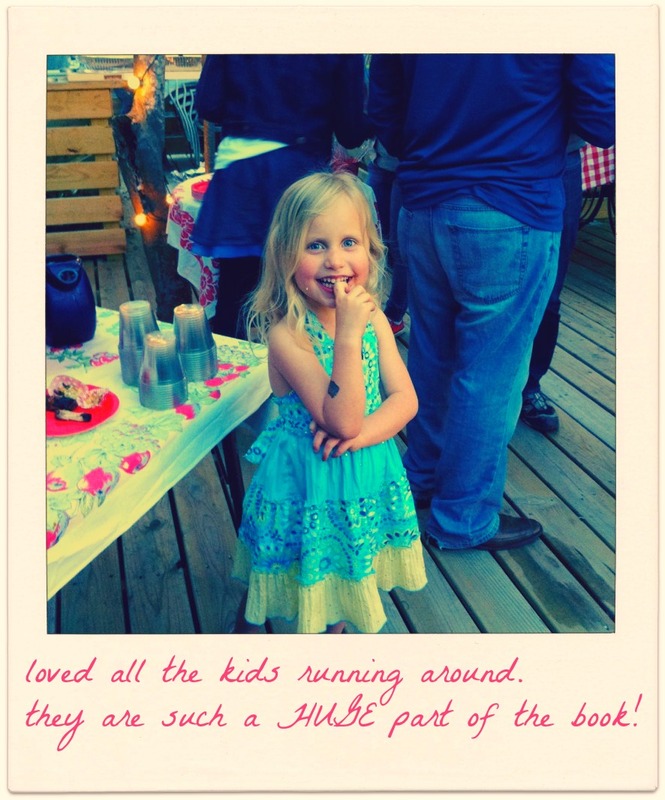 The book made it’s presence known through the the entire party – from the menu items, to the much of the decor. 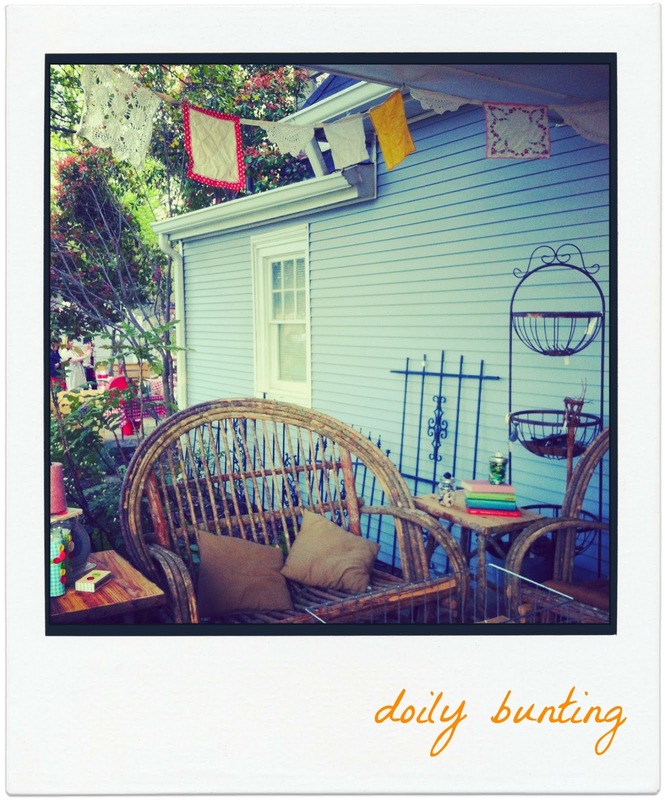 For instance, Christen hung this doily bunting is from Chapter 20, the Michaelmas chapter. And the candles in the left hand corner are from the Easter chapter. This cozy spot is where I sat most of the night and signed books and greeted guest. Because the party theme was a “church social hijacked by a bootlegger,” Christen asked me for my favorite hymns and bluegrass songs. 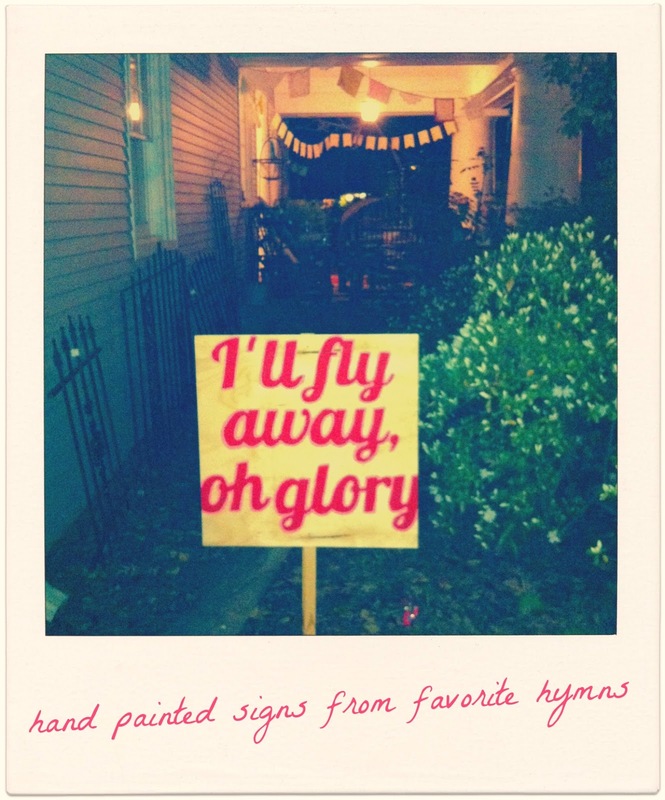 Then she painted three amazing signs from those lyrics. How perfect is this one? It’s my theme song after all! I have already found resting places in my house for all three signs. 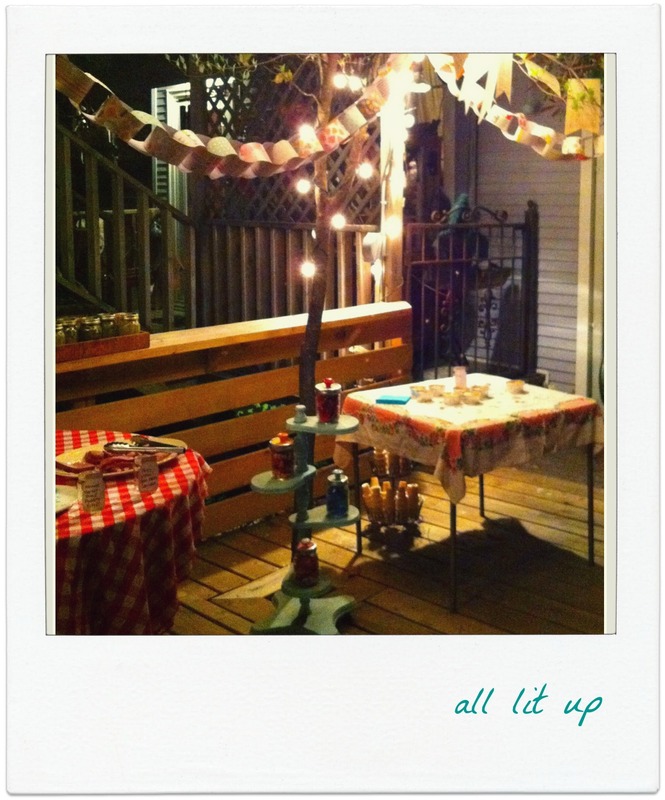 Gingham is one of the common design threads running throughout A Homemade Year, so it was only right that gingham run throughout all the party decor as well. 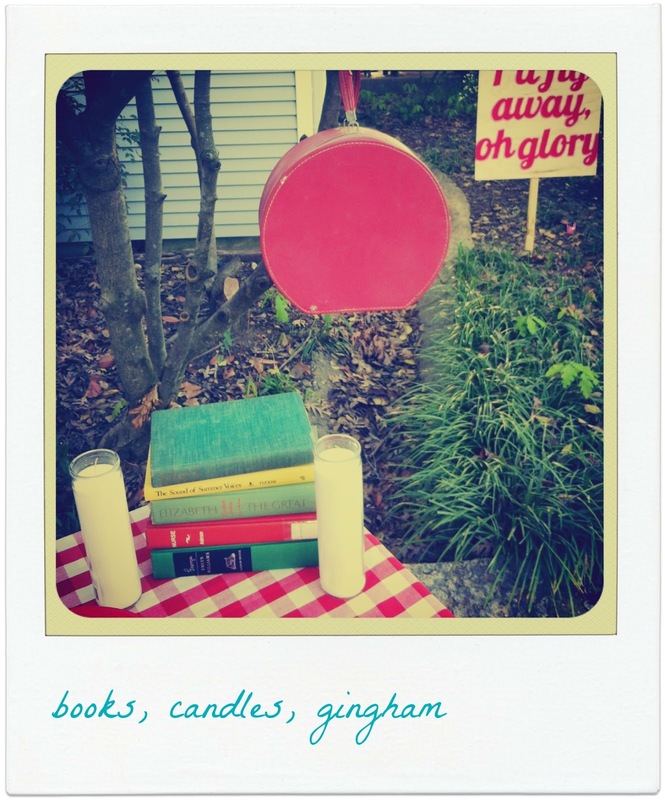 What is more southern than gingham? Okay, maybe monogramming is more Southern. 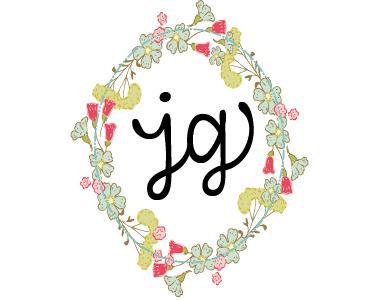 But nothing is more Southern Church Picnic than gingham, so there- Take that, monogramming! The food was southern, delicious and homemade. Every bit of it. I have to give my MIL Mary and Sweet Man a big shout-out for all the amazing cooking they did. 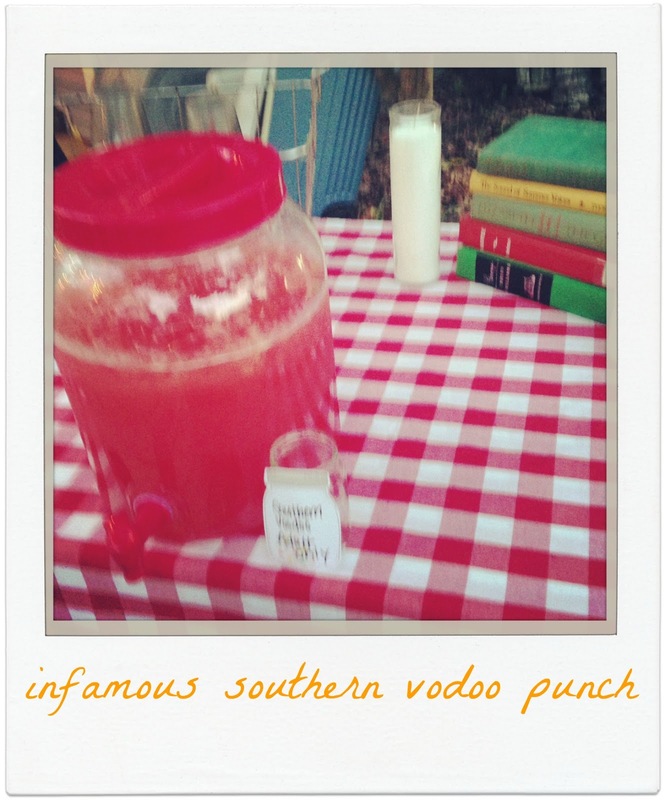 My now infamous Southern Voodoo Punch was served (thank you Jeanetta for naming it!) for the grown-ups and regular punch was served for the kiddos. So fruity, refreshing and pink. Perfect for spring and summer events. And it packs quite the little voodoo punch if you are not careful. After sunset, all the twinkle lights sparkled, and everything was magical. 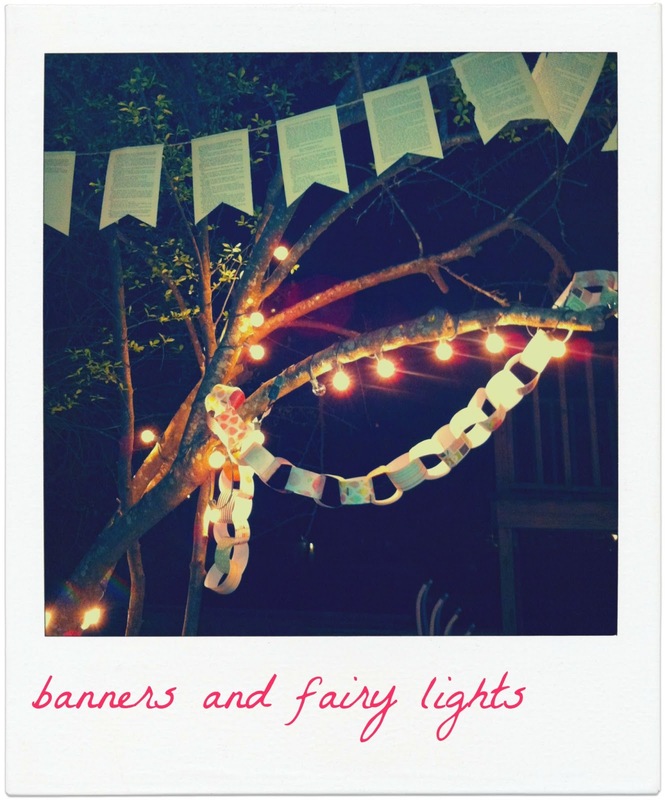 I loved the combination of fairy lights and paper chain garland. Christen did a great job at making so many of my ideas come to life. 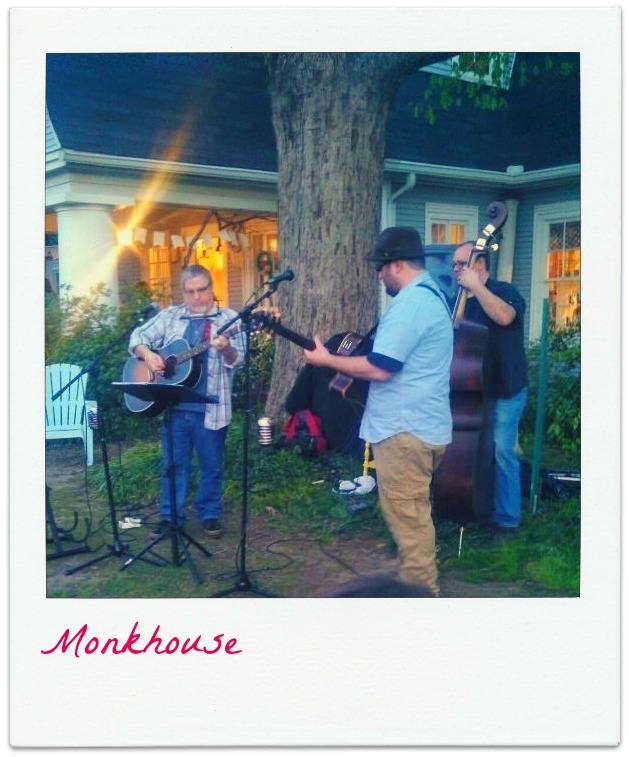 Sweet Man’s band Monkhouse (well, 3/4ths of them,) played a mix of southern hymns, bluegrass, folk and roots music. Plus lots of my favorites including Wild Flower by Tom Petty and Harvest Moon by Neil Young. And of course Keep on the Sunny Side. Sweet Man has had several bands in our 17 years together, and I have to say that this is far and away my favorite- especially when they go acoustic. Be still my heart. Looking back at all the pictures, I cannot believe how many people came out to support me and the book. Every picture I find I see something I missed before. And it is so great to see all my worlds collide. 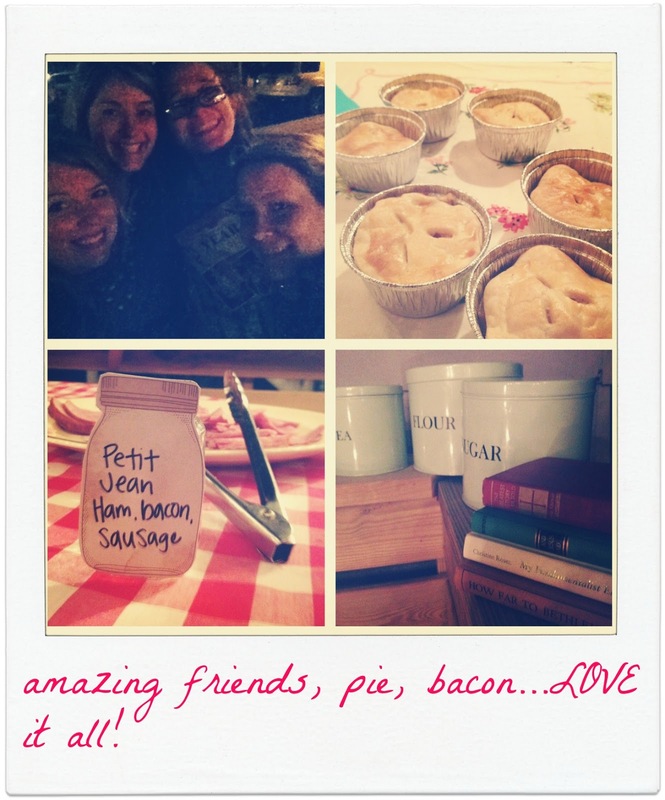 Friends from each stage of life, coming together to eat pie and celebrate this book- which really was a community effort. A couple of people asked me if the Hootenanny would be kid-friendly. I honestly don’t know if I know how to throw any other kind of party anymore. I think this is how I recreate the large and loud family experience from my childhood. I love to be in a kitchen cooking with five other people, everyone having to bend, shuffle and climb over each other, while the kids run wild circles in and out of the house, doors slamming, people hollering, laughter ringing loud. I feel most at home in these moments. I feel as if LIFE is bubbling up all around me. I want to just stand still and soak it all up- all that crazy, all that laughter, all that community. So yes, for future reference, our parties are always kid friendly. If you can keep them out of the spiked punch. Petit Jean Meats donated ham, bacon and sausage to the event. And let me tell you, it was the HIT of the party. Especially that bacon. I don’t ever think I can eat another brand ever again. Our sweet friends Dan and Camille baked the Mug-o-Pies in tin ramekins (also featured in Chapter 20.) 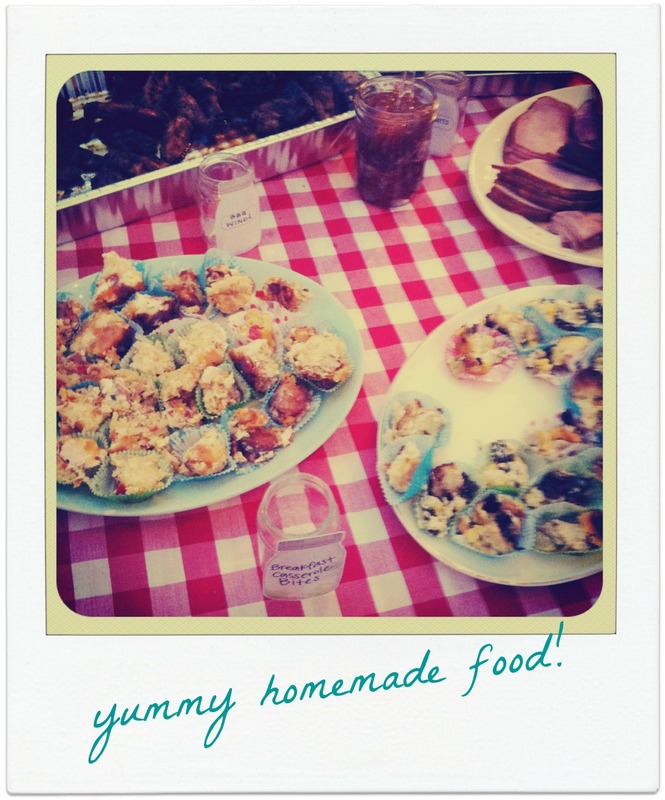 They were a huge hit and the individual portions made it easy to serve a crowd. So yummy, and perfect for warmer months because of the hint of lemon they have. But you will have to read Chapter 20 for more of that story. Did I mention how great it was to see my friends? New and old? Like the adorable Sarah Orsborn and Kim Roth. Sarah is wearing a homemade dress and Kim is wearing a homemade broach- how cute are they to come dressed for the theme?? 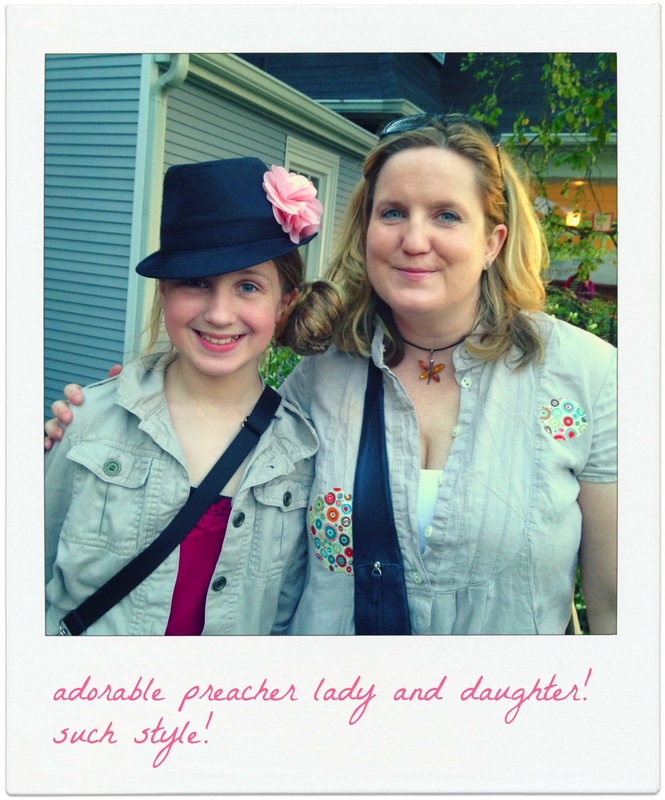 And did you see preacher lady Ann Russ and her precious daughter before that? I am pretty sure I could not have pulled that look off at her age even if Rachel Zoe was my stylist! Here Kim and I in our stripes. I love road tripping with this gal and can’t wait to do it again soon. She talked me down many a ledge, over sushi and teriyaki lunches, throughout the whole book process. She is the one who reminded me again and again, that I was enough just as I was, book or no book. Everyone should have at least one person- if not a truckload-who reminds them of these sorts of truths over and over. I hope I am this person for Kim and others. 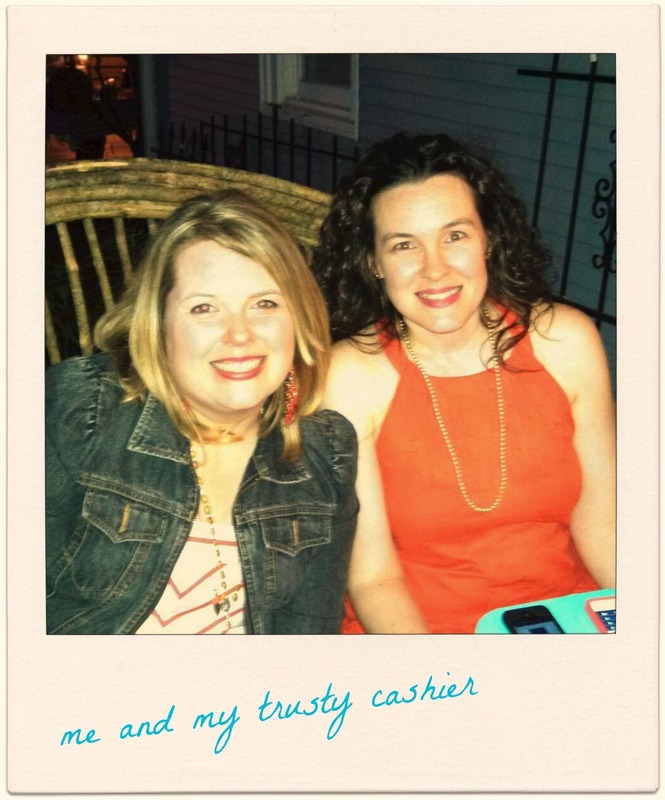 Here I am with Jeanetta, who I roped into being my cashier. Which I felt bad about. Mostly I was grateful for the excuse to have her by my side all evening. Out of everyone at the party, with the exception of my siblings, she has known me the longest, and she still loves me despite it. I could not have traveled this journey without her willingness to do whatever was needed-from drawing patterns, to making jelly, to sitting for pictures along with her constant assurance that everything would be okay. 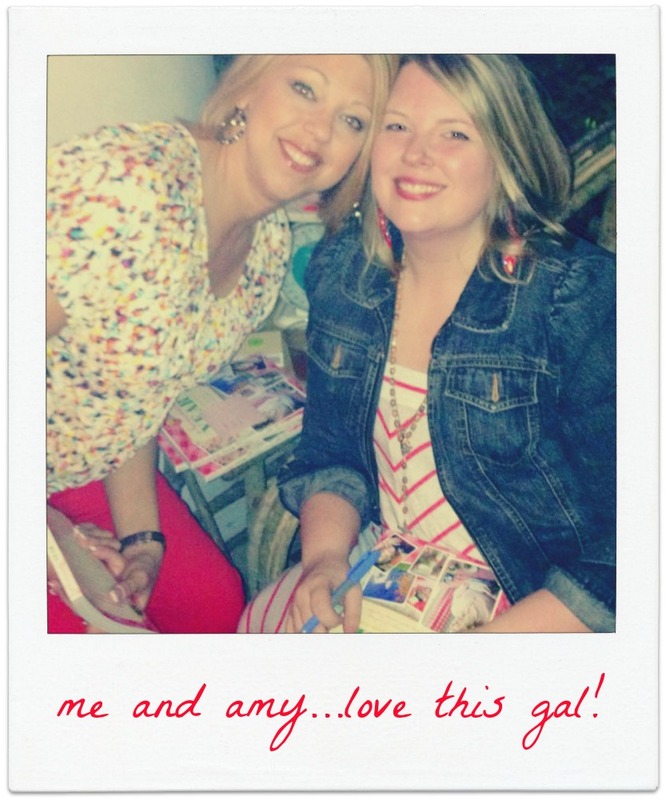 She is my sister from another mother and I love her dearly. I was also so excited to see my friend Christine, who helped edit the very first chapters I ever wrote for the book, the original proposal, and many chapters after that. 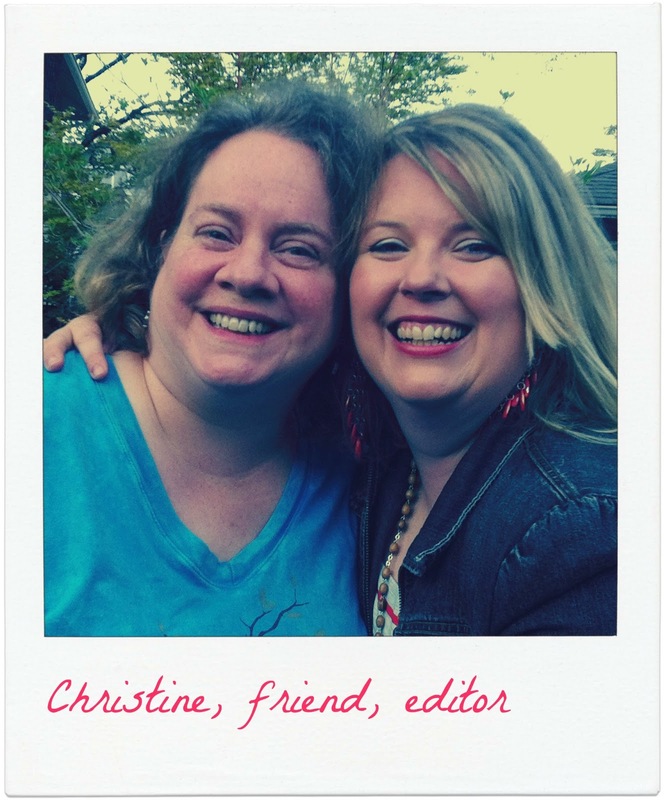 Christine and my other editor-in-waiting, Amy Brawner-Bishop, were ruthless and honest and gentle and my very best cheerleaders throughout the entire process. Christine was there when this idea was born, and she held my hand through all of the beginning months and some of the final ones as well. I honestly can say, that without her help, I am not sure if this little seed of an idea I had would have ever germinated and blossomed into the book it is now. I think that is the best compliment ever. This girl right here always believed I had a book in me. 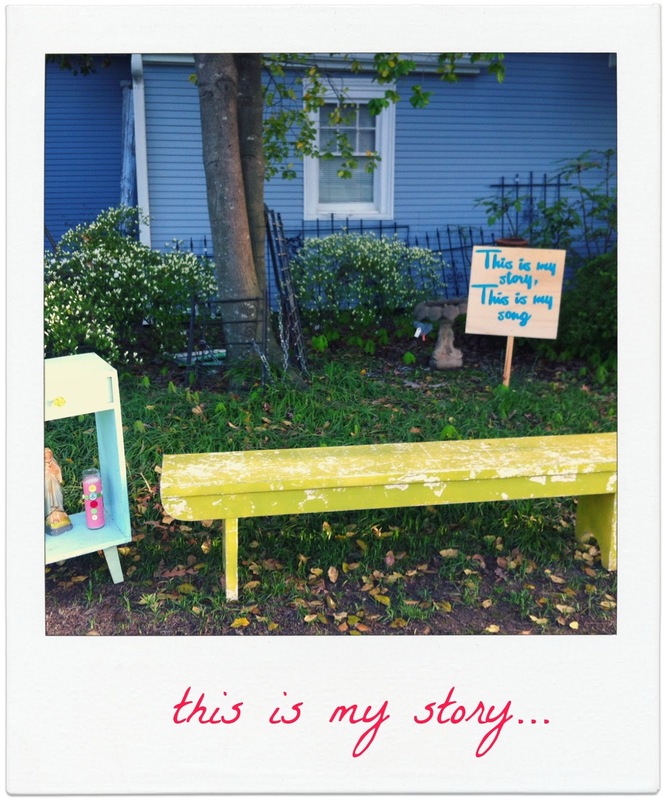 That my story and my creativity where worth sharing, and that sharing them was worth pursuing. That I had a voice that needed to be heard. We have spent many nights and days and weekends dissecting our assumptions about faith, humanity, marriage, relationships, parenting and the myth of balance. Together we learn again and again how to accept and pour out grace for others -and ourselves. She is the truest kind of friend. 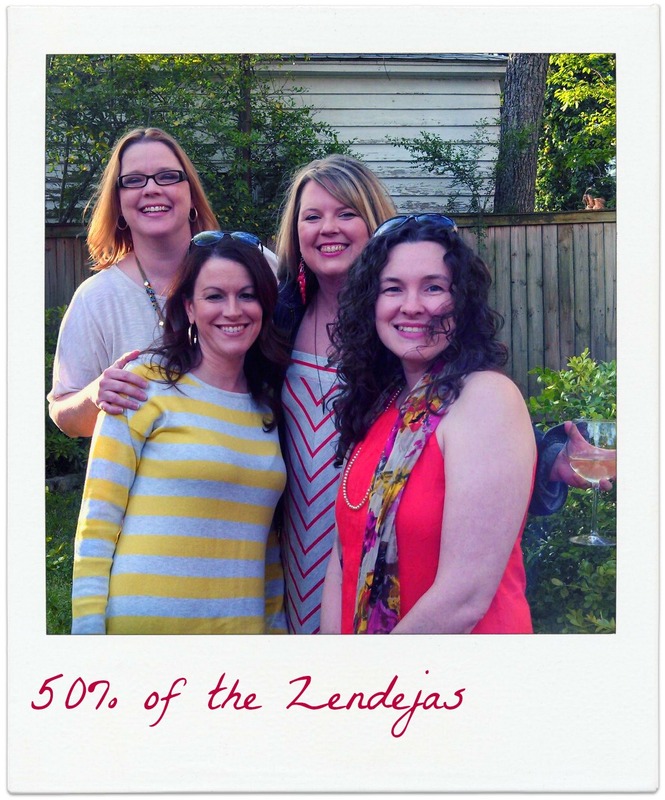 These girls right here are the “Zendejas” as we called ourselves in college, and can be found in Chapter 2. But this is only 50% of them. Joanne in glasses, Me, Shari in yellow, and Jeanetta. This August will be our 20 anniversary of having met as college freshman. And how does 20 years fly by so quickly? 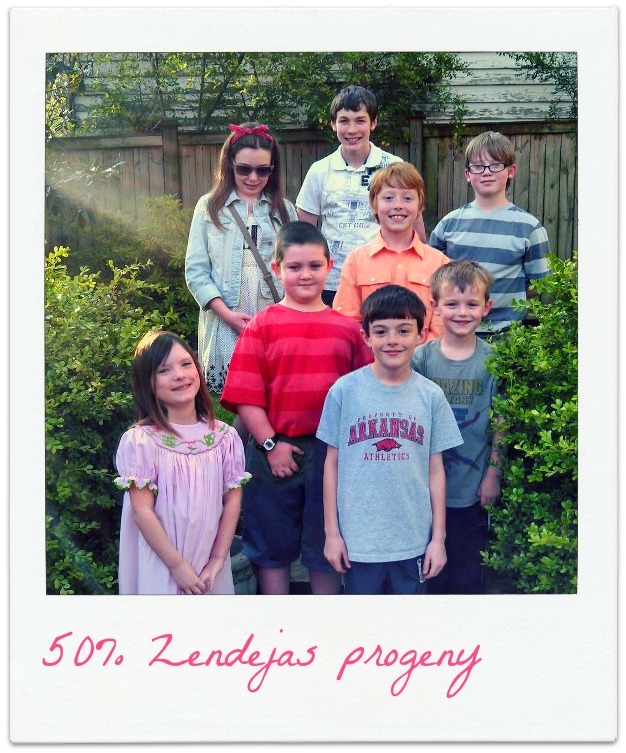 Here are some of the Zendeja’s children. Mini-Zens we call them. There are more of them running around Seattle, Blytheville AR, Clarksville, TN, Round Rock, TX and South Carolina. One of my great goals is to figure out how to get everyone in the same location sooner rather than later. Or at least hopefully before the first Mini-Zen enters college. Which is only 4 years away. Okay, now I need a good, stiff, sip of Southern Voodoo Punch. Thank you for letting me show you these snapshots of one of the best nights of my life. 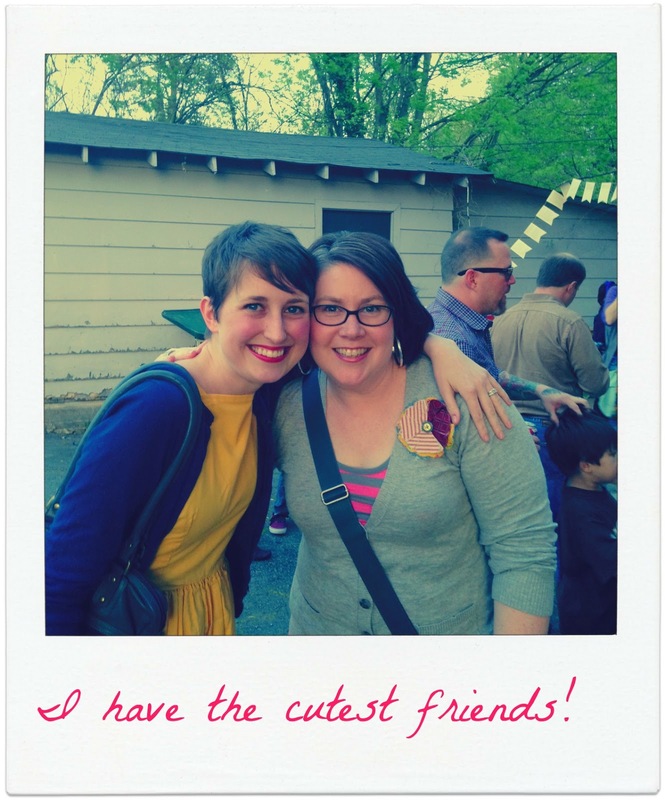 Part of the reason this blog exist is so that I can look back and remember. And this is definitely a night I never want to forget. So completely amazed to have been a part of this process. Rather dumbstruck, actually. To me, helping out was not like work at all, but rather helping a friend along on an adventure, adding my thoughts and taking out some extra commas (and adding a few in), where needed. What brand of jean jacket were you wearing? I love the girly detailing of the shoulders. How wonderful for you! I am so excited to buy the book. It is what I am going to do tonight when I get home! How lovely! Looks like my kind of party! And i love the signs. Those are some of my favorite songs too! 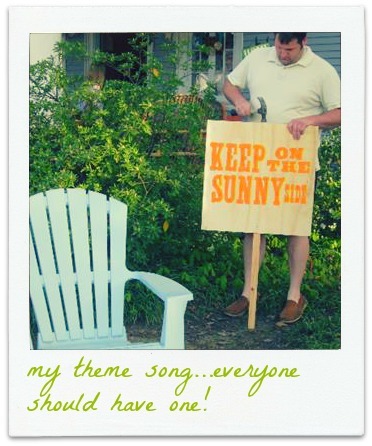 I'd love to see a list of your favorite hymns and bluegrass songs! So excited about your book!! Wow! Can't wait to get a copy!